Die-Pat twin wheeled castors with plate fitting. 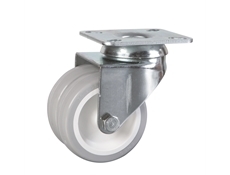 These grey twin wheel castors are available in 50mm and 75mm diameters with load capacities of 55kg and 80kg. 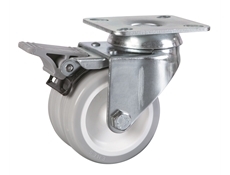 Grey twin wheel castors with plate fittings are available in swivel or braked versions.